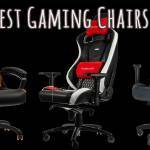 If you’re a gaming fanatic or you have an office job it’s fair to assume that a comfy, well-posturing, adjustable and sturdy chair is somewhere on your must-have list. Well, in this dxracer chair review we’re going to find out if it does fit all the above criteria. 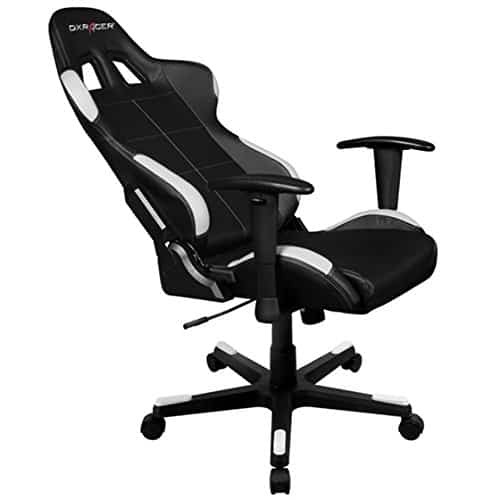 The dxracer chair is a sensationally designed chair with a host of features. 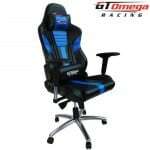 It is primarily purchased (ordered) online through its website dxracer.com. The website is pretty straightforward and easy to navigate. Shipment is done swiftly through an average of three to four day time period depending on location. All shipping is done via FedEx Home Delivery services. Same day shipping is also possible, but only on available products which have been ordered before 3 PM (EST) on business days. 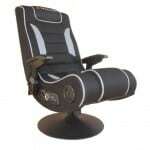 The chair is priced at £199 inclusive of taxes and shipping costs. Payment via Pay-pal is also available to the customers. The chair is shipped in a large cardboard box with a weight limit of 70 pounds. Additionally there’s an instruction manual which will help you set up the chair reasonably quick and straightforward. Now, the groovy and significant part of the review – the features. The armrests aren’t metallic, though they’re constructed with high grade dense plastic that’s quite hardy and thick. The armrest is built of resilient surface and it’s specially designed to be adjustable to a user comfortable position by toggling it gently up and down. If you’re a computer user for large parts of your day, then an ergonomic workplace setup is of absolute significance. The dxracer chair is fitted with an adjustable system (angle adjusting and height lifting levers) and imported hydraulic system. The height can be adjusted to suit your needs and the angle can be tilted up to 170 degrees backward. 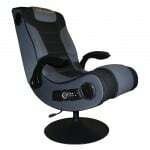 Additionally the chair is also designed with a 12 degree tilt rocking base that is footrest shaped and with a racing tire pattern. The framework of the base is of metallic aluminium which pretty much guarantees its hardiness. Extensive research has been done on the chair’s ergonomics to ensure it offers near perfect posture by supporting your spine, offering perfect ratio and optimum structure curve. 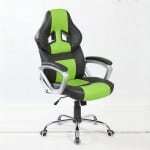 The material used to cover up the chair is of advanced racing quality imported polyurethane (PU) merged with heavy ABS (thermoplastic polymer) ensuring firmness, safety and durability. The material is designed to resemble and feel like leather which most likely adds to the chair’s appeal. This covering is sleek smooth and waterproof just in case you accidentally spill any drinks on it. Other additional but utterly cool features are the removable lumbar and headrest cushions. These cushions are easily attachable via some bungee clips and incidentally can be detached at will as well. These cushions tend to improve posturing on the chair thus helping prevent associated back and spine complications. For those who are interested in different colours other than the stock black, there’s also pink, green, red, yellow, orange, grey colour options so you can express yourself however you see fit. The design, stupefying. Enough said. Together with the extra cushions the chair might perform miracles for your back and spine. The chairs ergonomics are simply splendid. The wide range of colours is a bonus for your tastes and home decor as well. Plenty of adjustments on the chair help to ensure you are seated as comfortable as you wish. If you’re used to comfy spongy chairs you might find the dxracer chair to be quite stiff and it might take you a bit of breaking into. The price might not be everyone’s cup of tea as it doesn’t necessarily fall on the budget side of the price balance i.e. it might be somewhat of a high-end luxury purchase to some folks. The armrests lack any extra padding thus may seem uncomfortable when resting your forearm on the naked dense plastic surface. 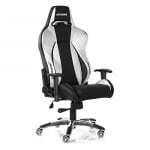 The dxracer chair is an unsurprisingly high quality chair that is specifically suited for office workers and gamers alike. Is it worth the price? Most probably, yeah. Recommendation? Get it and experience it for yourself. 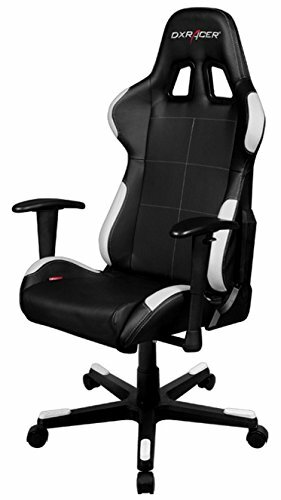 The DXRacer Fomula chair is a comfy chair to own that offers very good back support for when you are sitting down for many hours, But this chair is Well priced in the USA but much more expensive to have in the UK compare to what the exchange rate should be. I would suggest if you are after a chair of this style then maybe look at one of the local Manufactures.